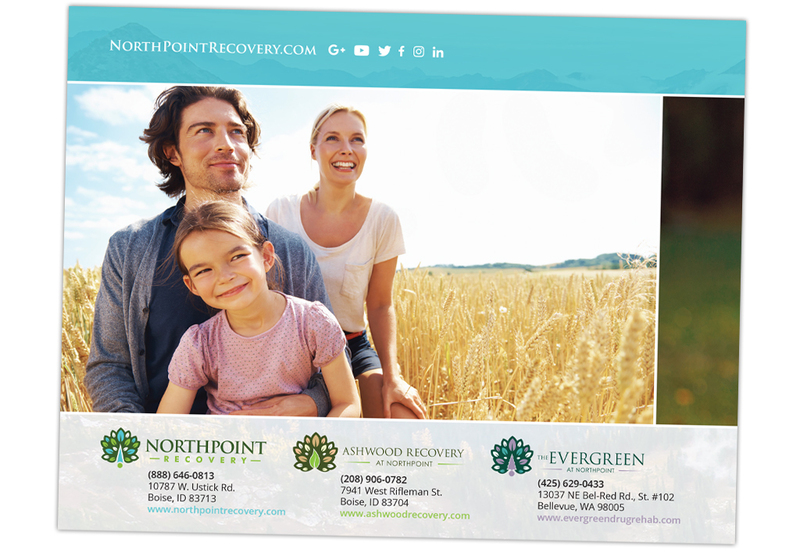 This print project for Northpoint Recovery was the result of combining multiple collateral pieces into one comprehensive brochure for use as an initial sales tool. 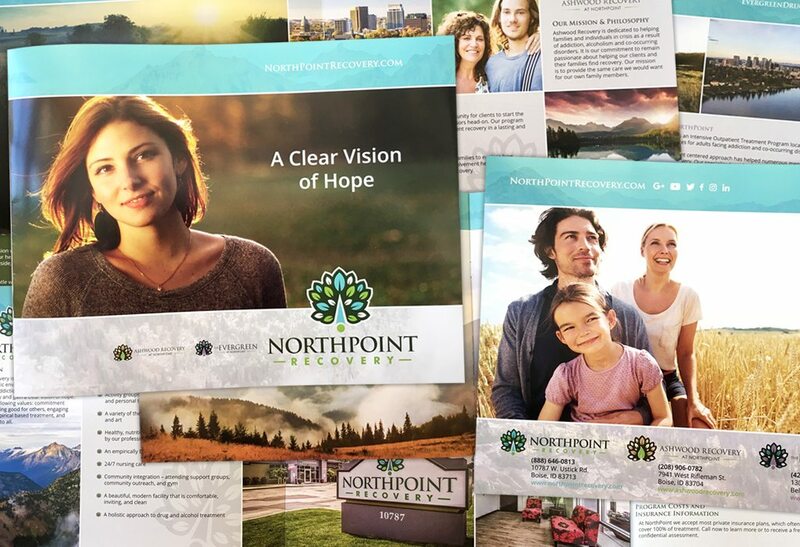 Our goal was to create a compelling, effective and easy-to-look-at design that the audience could connect with on an emotional level. 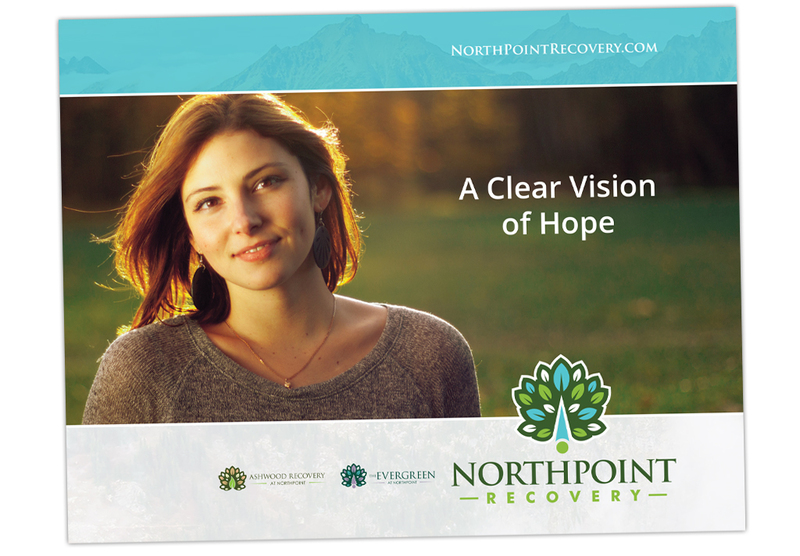 This was achieved through the use of outdoor and lifestyle photography, faded background imagery, subtle graphic elements, all while maintaining space and readability.